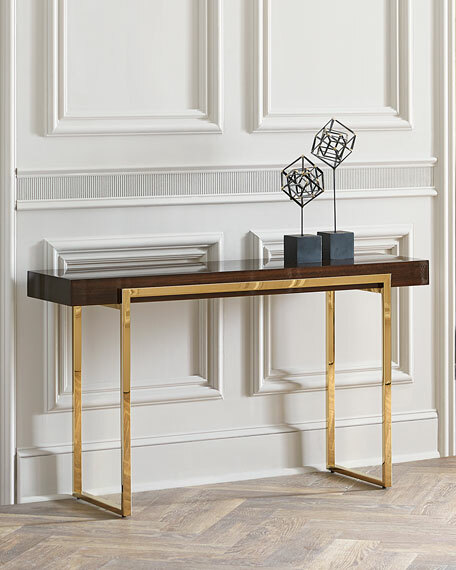 Handcrafted wood veneer and metal console table. 56"L x 16"W x 30"T.
Smoked, figured eucalyptus veneer top. 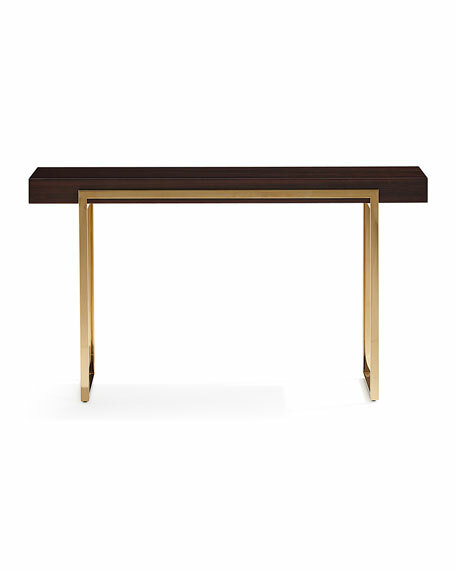 Stainless steel base with brass finish. For in-store inquiries, use sku #2121992.